Central govt. has decided that the treatment of Child Cancer will now be covered under Pradhan Mantri Jan Arogya Yojana. As per the statement of NITI Aayog Member Dr. Vinod Kumar Paul, govt. has already fixed the rates for childhood treatment. Dr Paul said the scheme will provide health insurance cover of five lakh rupees to poor families. He said BPL and lower-middle-class families will benefit from it. Union govt. has decided to open 1.5 lakh Health and Wellness Centres by FY 2022 under Ayushman Bharat Scheme. These HWCs will provide comprehensive healthcare against diseases like diabetes, cancer, hypertension and cardiovascular diseases. 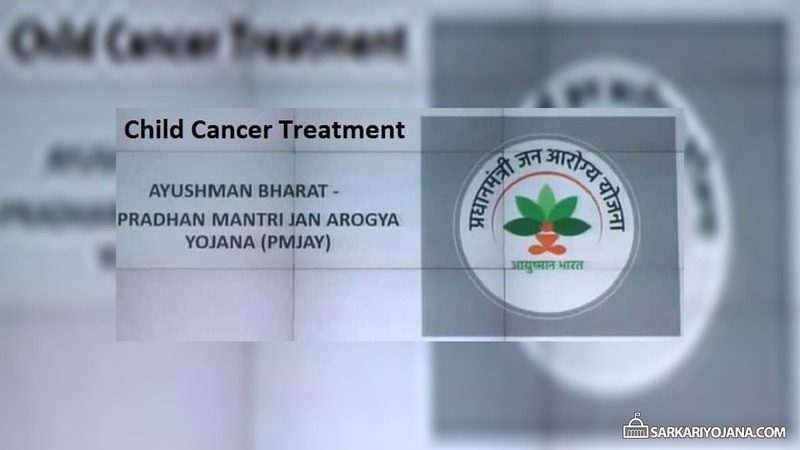 Latest Update – Check Ayushman Bharat – Pradhan Mantri Jan Arogya Yojana List of Hospitals to find Ayushman Bharat empanelled hospitals. NITI Aayog official said that childhood cancer will be available for treatment under Pradhan Mantri Jan Arogya Yojana (PMJAY). This information was shared by Vinod Kumar Paul, while attending a function in New Delhi on 9 September 2018. If diagnosed at early stages, childhood cancer is curable disease. This disease is not infectious and doesn’t spread from 1 child to another. Childhood Cancer is not usually inherited through genes. Early diagnosis and prompt treatment are necessary for good cure rate. Cancer in children differs from adults in many ways. Children are fast growing but also sensitive to chemotherapy treatment. They have chances to revive early, so cancer treatment is a realistic and practically achievable goal. Extra Care of children should be taken at home to ensure treatment discipline and regularity, good hygiene and balanced nutrition. Cancer treatment is a complicated process, so it is advisable that children gets treatment in an experienced and specialized pediatric cancer unit. Number of children who develop cancer is around 3% which is significantly low, cure rate is high and even the total productive life years saved after curing children is high. So, govt. plans to includes childhood cancer treatment in PM Jan Arogya Yojana (PMJAY). People will get an insurance cover of Rs. 5 Lakh per family per year for secondary and tertiary care. People whose name appears in SECC-2011 database, will be eligible for PMJAY. Family of the patient will not have to pay a single penny for treatment from their pocket. Various pre-existing diseases would be covered from day one of the policy. Benefit would be covered including pre and post hospitalization. People can go to public and empanelled private hospitals across the country and avail free treatment. People needs to carry prescribed ID which would verify their identity to receive treatment at the hospital. It is the world’s largest govt. funded programme and will cover around 10 crore poor and vulnerable families. PM Jan Arogya Yojana would provide health insurance to 5 lakh per family per year for secondary and tertiary hospitalization. Around 50 crore Indians belonging to BPL and lower middle families will be benefited.